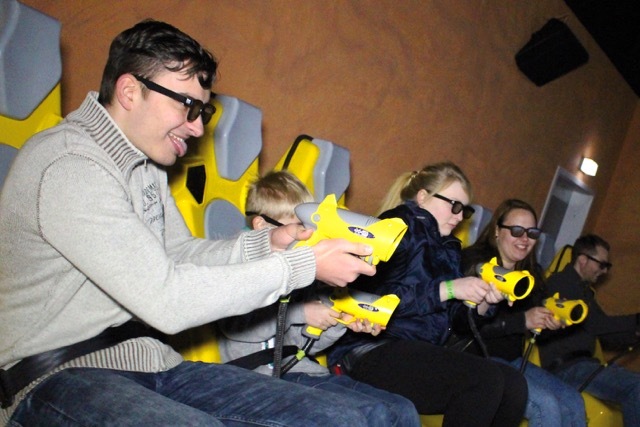 Montreal, Canada (April 22, 2015) — TRIOTECH announces that its award winning XD Dark Ride interactive theater has been installed at Fort Fun Abenteuerland in Bestwig Germany. This product won IAAPA’s Brass Ring Award for Best New Product in 2013. 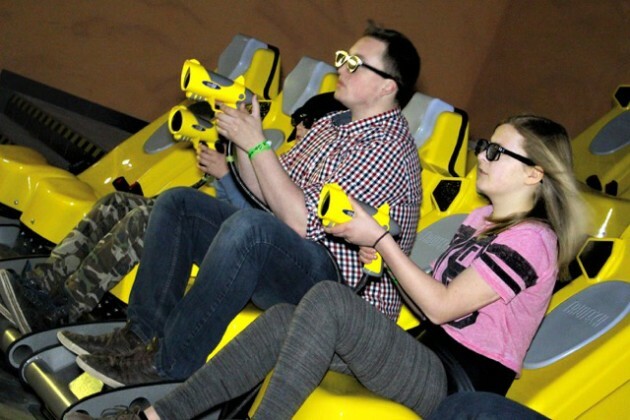 “The interactive nature of TRIOTECH’s attraction was very important in the investment decision as was the availability of different content,” stated Ernest Yale, President & CEO of TRIOTECH. The attraction is a 16 seats XD Dark Ride and is called FoXDome, which fits into the park’s positioning of “American Wild West”. It is the main new attraction for this regional park in 2015. Fort Fun has approximately 40 attractions and draws around 300,000 visitors per year and its season is from April to October. The park will have access to TRIOTECH’s growing library of exclusive interactive content movies that includes: Los Banditos, Zombies, and its latest release Gigamon, among others.